Hard In The Paint Promotions Presents: Screwed Up Christmas Featuring ESG Live!! E.S.G. 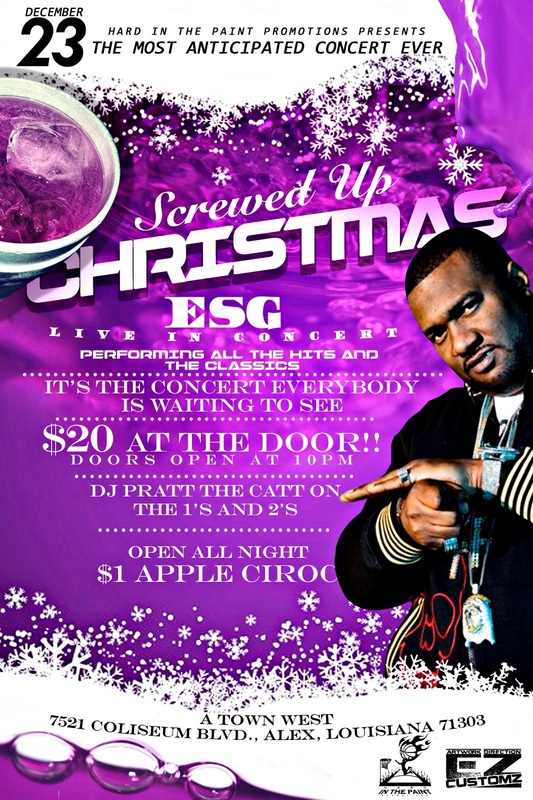 (Screwed Up Click) is live in concert performing ALL of his hits and classic’s! We have Dj Pratt on the 1’s and 2’s!! Trust me this is going to be an epic event you don’t want to miss out! It’s going down December 23rd @ A-Town West!! Doors open at 10PM and the party goes on until we get put out!! "Hard In The Paint Promotions" "Screwed Up Christmas"
“Forbidden Knowledge” taken from Raury’s new album ALL WE NEED.